The SureFire KX9 and KX9T are the newest upgrades for owners of of SureFire Millennium series flashlights and weapon lights, allowing them to convert their nine-volt incandescent lights into modern single-output LED versions. Both heads feature Total Internal Reflection (TIR) lenses providing more tightly focused beams than comparable LED’s. 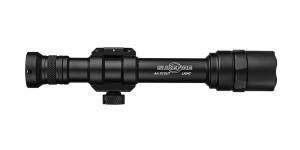 The SureFire KX9 produces 500 lumens output and provides 1.5 hours of tactical runtime until output drops below 50 lumens. The TIR lens is configured to provide some additional reach while still allowing adequate surround beam for peripheral vision. 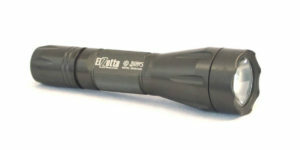 The KX9 has the same 1.62″ bezel diameter as other Millennium series lights, such as the M3 , allowing owners to use their existing filters and other attachments. The KX9 has a list price of $299.00 and is currently available in black, while desert tan and olive drab green finishes are coming soon. 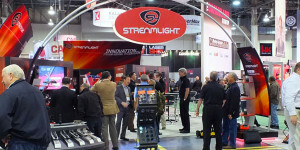 A full list of compatible flashlights and weapon lights can be found on SureFire.com. The SureFire KX9T TurboHead produces 700 lumens output and provides 1.7 hours of tactical runtime until output drops below 50 lumens. The TIR lens and larger head are optimized for extended reach and less surround beam than the KX9. The KX9T will be available in the same colors as the KX9 and lists for $319.00. 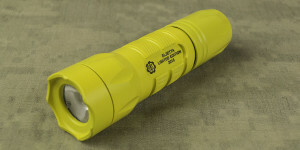 A full list of compatible flashlights and weapon lights can be found on SureFire.com. 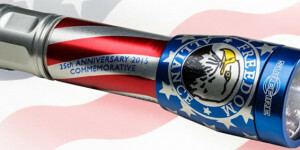 Posted in Flashlight News and tagged Flashlight Upgrades, Surefire.